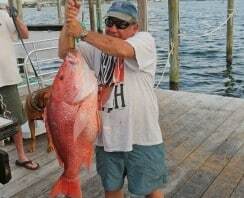 Destin Deep Sea Fishing | Destin FL Fishing Charters - No Alibi Charter Boat Red Snapper, Shark, Cobia, Grouper & More! Book Your Deep Sea Charter! Deep sea fishing is among one of the favorite activities among locals and visitors to the Destin, Florida area, popular in Destin because to be quite frank, you catch a lot of fish including some really big ones. 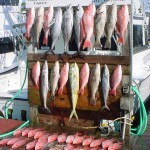 The geography of the Gulf combined with great weather, family and friends makes Destin the idea place to deep sea fish. 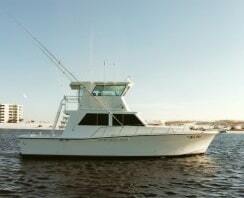 We offer several deep sea fishing trip options depending on the time of year. 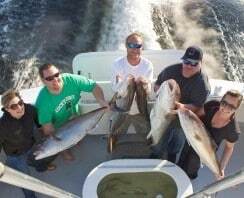 Fishing charters book up fast and usually visitors reserve one day of their vacation for fishing, so its best to book a deep sea fishing charter that guarantees you catch fish. We look forward to hearing those famous words “Fish On”. See ya soon.